Higher speeds mean more production. All CINCINNATI press brakes are built to meet the demands of multi-shift operations. Advanced features including multi-axis backgages, power clamping, increased stroke, automatic crowning and off-line programming are available to increase versatility and reduce setup time. Higher speeds mean more production. 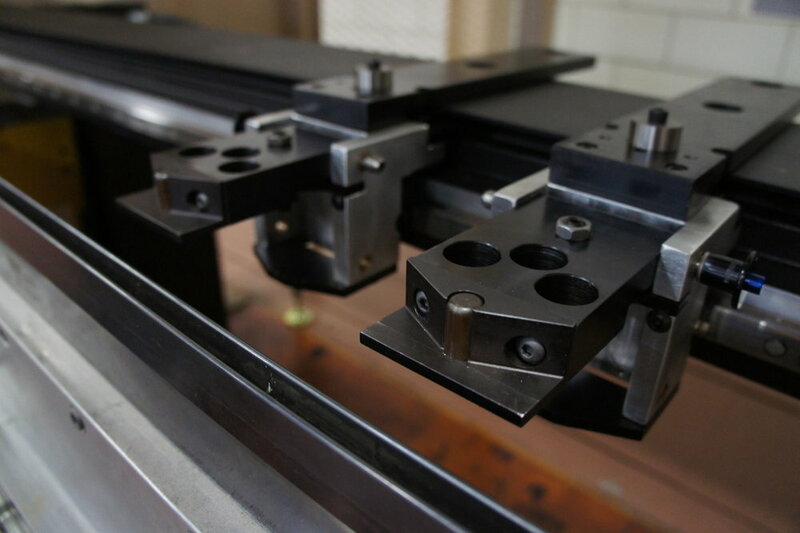 To get higher speeds, CINCINNATI has made large strides in press brake design. The MAXFORM is the most advanced press brake ever offered by CINCINNATI. Models are available from 90 tons to 350 tons, up to 14’ lengths. The MAXFORM produces maximum productivity through fast programming, fast setup and fast cycle speeds. Improved part consistency is achieved with the touchscreen computer control that simplifies file management and provides detailed setup information with each saved program. Operators are guided through each step of the bend sequence with 3D part views. This software is available for the Maxform Series Press Brake. Click on the image to learn more about each software.